Alongside Frederick Banting, Charles Best discovered insulin in 1922 after becoming Banting’s assistant during the summer of 1921. While Banting and J.J.R. 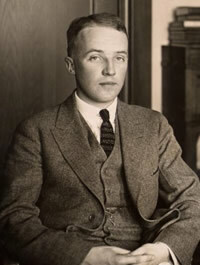 MacLeod won the Nobel Prize in 1923, Banting shared the prize money with Best and the rest of his team that were responsible for insulin being developed. Born in Maine, Best later moved to Toronto in 1915, where he studied at the University of Toronto. In 1921, he completed his degree in physiology and biochemistry. He became a summer research assistant at the university, and was assigned by MacLeod to work with Banting, who was experimenting on pancreatic secretions in diabetes. Best handled chemical tests to measure blood glucose levels while working with Banting on extracting the pancreases of dogs, who survived with insulin injections. They began clinical trials on humans in 1922, which led to Leonard Thompson becoming the first person to receive insulin injections, which led to his blood sugar levels normalising. Best obtained his medical degree and succeeded MacLeod as Professor of Physiology in 1929. After the death of Banting in 1941, he then took over as Director of the Banting and Best Department of Medical Research. Best retired in 1965, after spending much of his career investigating carbohydrate metabolism. He died on March 31, 1978.